North Korea is ready to halt its nuclear tests if the United States suspends its annual military exercises with South Korea, the North Korean foreign minister told The Associated Press in an interview in which he also warned that his country won't be cowed by international sanctions. He granted the interview in the country's diplomatic mission to the United Nations. He spoke beneath portraits of Kim Il Sung and Kim Jung Il, North Korea's two previous leaders - the grandfather and father of current leader Kim Jong Un. 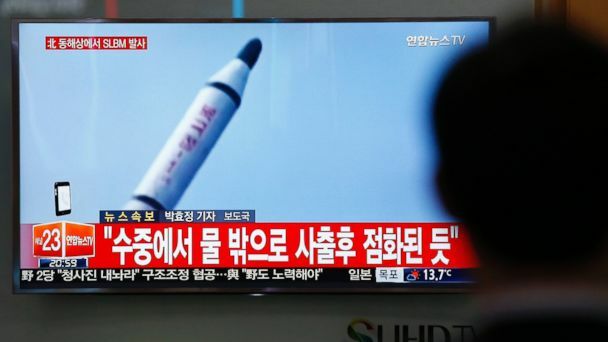 Ri's comments to the AP came just hours after North Korea test-fired a ballistic missile from a submarine in its latest show of defiance as the U.S.-South Korea exercises wind down. He referred to the launch in the context of current tensions caused by the military exercises. "The escalation of this military exercise level has reached its top level. And I think it's not bad - as the other side is going for the climax - why not us, too, to that level as well?" Ri, in New York to attend a United Nations' meeting on sustainable development, said the possibility of conflict has increased significantly this year because the exercises have taken on what Pyongyang sees as a more aggressive and threatening tone - including training to conduct precision "decapitation" strikes on North Korea's leadership.